Local Government New Zealand welcomes the Government’s proposals to ban products containing plastic microbeads and hopes it signals a new approach to removing plastics from the environment. Minister for the Environment Nick Smith yesterday announced plans to ban products containing tiny plastic microbeads from sale in New Zealand, following the lead of several other countries. Microbeads, found in some cosmetic products like shaving gel and soap, were being targeted because they could not be recycled and there was clear evidence of harm to waterways, fish and shellfish. LGNZ President Lawrence Yule says tangible steps towards improving the environment are positive, and there are several others that could be taken to help make New Zealand cleaner and greener. “Along with removing these plastic beads we would also like to see stronger effort to reduce the use of plastic bags and make it easier to recycle drink bottles and cans,” Mr Yule says. LGNZ has asked the Government to impose a compulsory levy on plastic shopping bags at the point of sale, and to introduce a national beverage container deposit system designed to decrease the number of containers going to landfill or not being recycled. Mr Yule says while efforts to make recycling bags easier are laudable, actually deterring people from using them in the first place has been shown to be successful overseas. 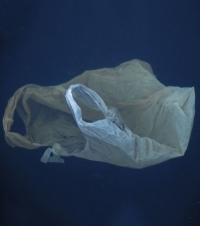 Levies on plastic bags introduced in Denmark, Ireland and China have led to a dramatic reduction in plastic bag use so there are good results .